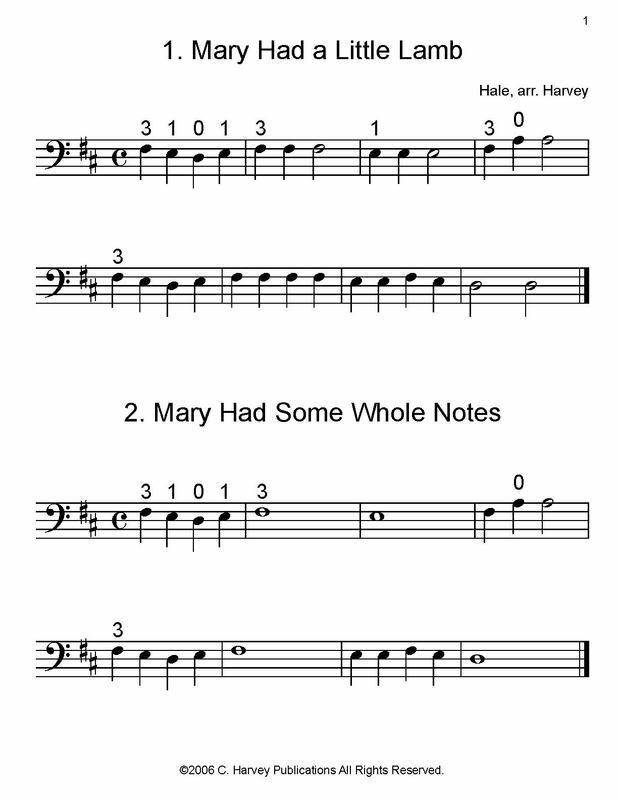 The 'Mary Had a Little Lamb' Book for Cello teaches you basic cello skills using variations on the famous song. ​This book is especially useful as a training tool for very young beginners, with large notes and finger numbers. Cello teachers can use this book an enjoyable method supplement that will help students play more fluently. Each variation teaches a specific technique, including easy rhythms, double stops, and slur patterns. ​This book could follow The Hot Cross Buns Book for Cello and could be followed by Cello Book One.